As a Business owner and a manager, you must know how to use the technology well so that you can increase your Return on Investment. Working in a more cluttered free environment increases work efficiency and output. To achieve this let’s change some of the practices by making a couple of beneficial yet realistic targets for the Docsvault side of your business. Here are a few tips that will help you automate more of what you do and allow you more time to focus on building your business! Go through all the cabinets, folders, sub folders and other storage spaces. Sort through those documents you rarely work with. Find the files that you no longer need but still they are occupying your storage space. You can either delete them or can store them in a separate cabinet and folders if you are unsure about their usage in future. Individual files can be deleted from the Recycle Bin or the entire Recycle Bin can be emptied at once. Another way to clean your repository is to delete or control too many versions of your documents. You can delete older version files, edit version notes and convert an older version file to current version. Creating batches of records for disposition on regular basis is also an effective way to reduce costs associated with storage and management of records. What’s more! You are ready to work with your clutter free system now! You can try and adopt various methods to create a new folder and file structure that can help you in document collaboration and automation. Sometimes, small changes in document handling bring big results. The biggest secret of your business process efficiency lies in a comprehensive knowledge of your document management system and the fullest use of it. 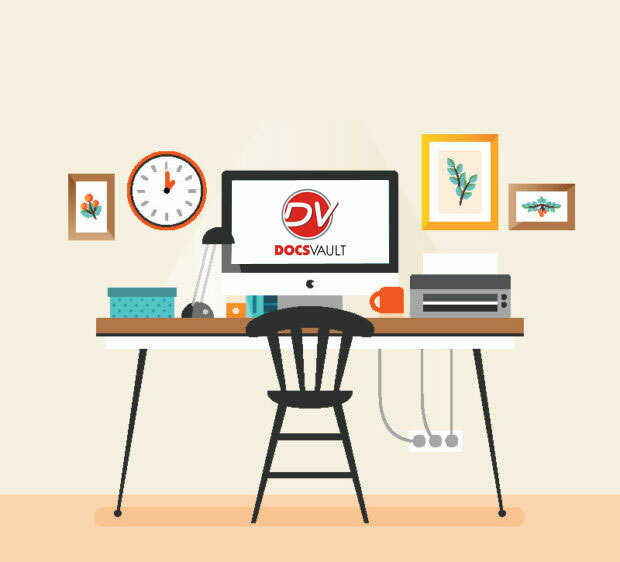 Docsvault is feature rich software that offers many tools to automate and speed up your document management and collaboration. The more you use, the more organized your office will be. Make sure everyone in your office is well trained on how to use these tools, as that is the best way to ensure that new policies are followed and good, organized habits are formed for everyone in the office. Try them all now and you’ll be able to spend your time…well…working.